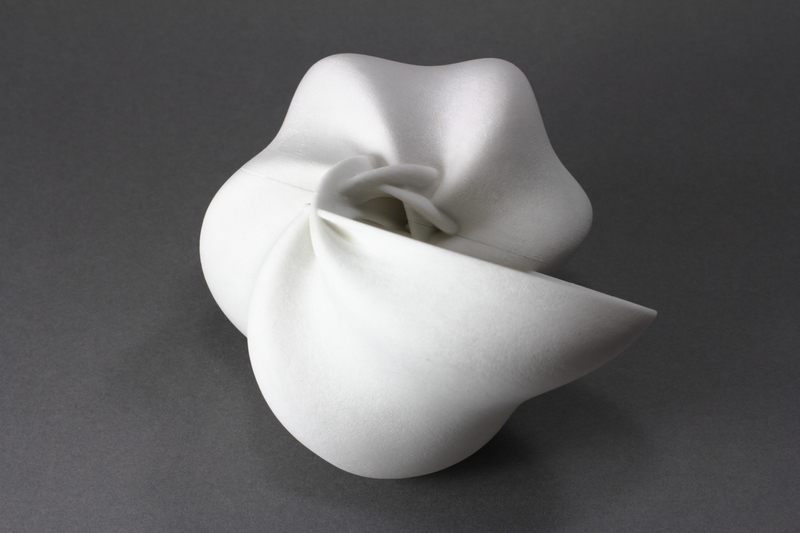 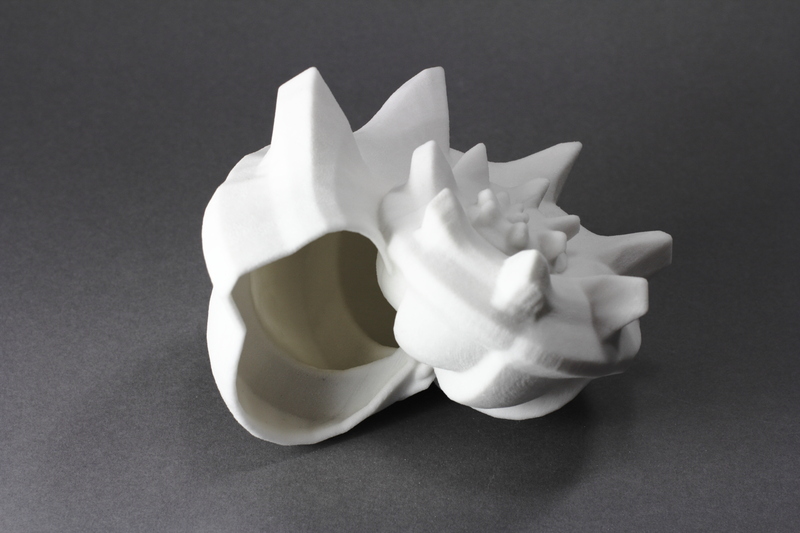 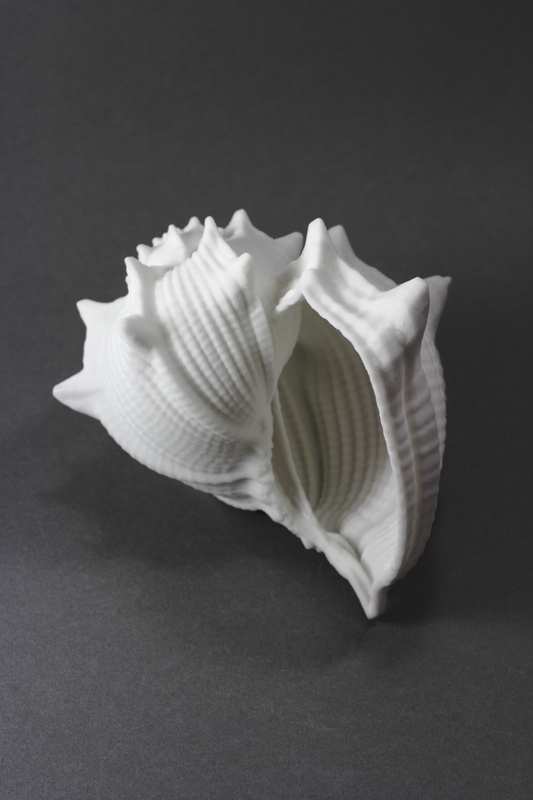 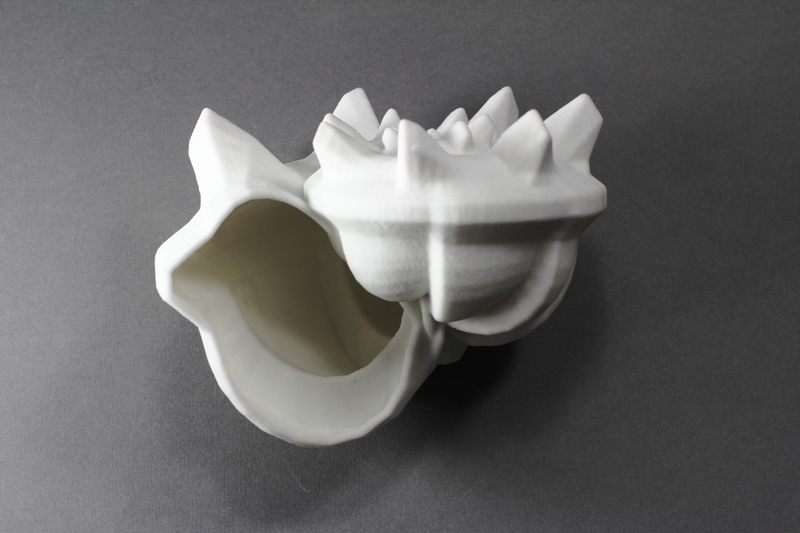 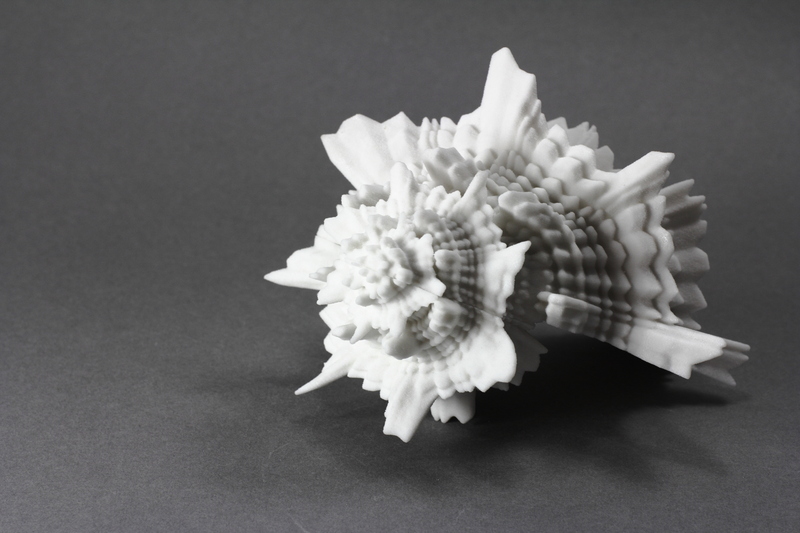 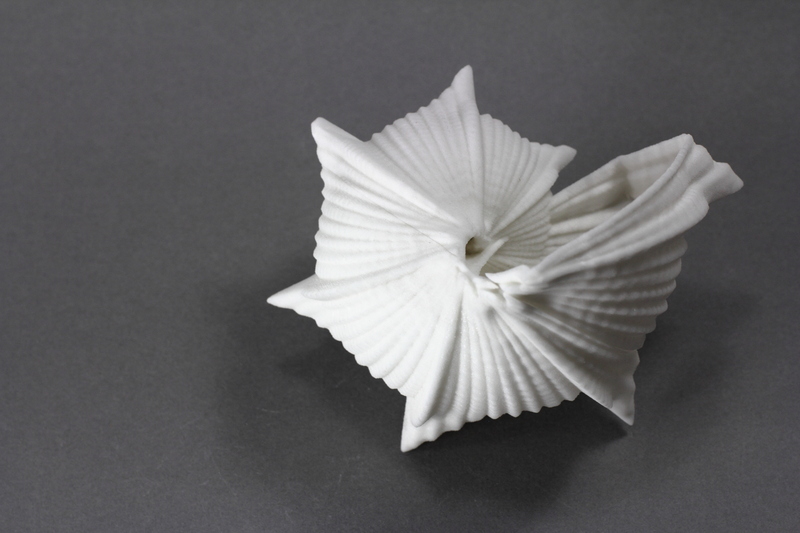 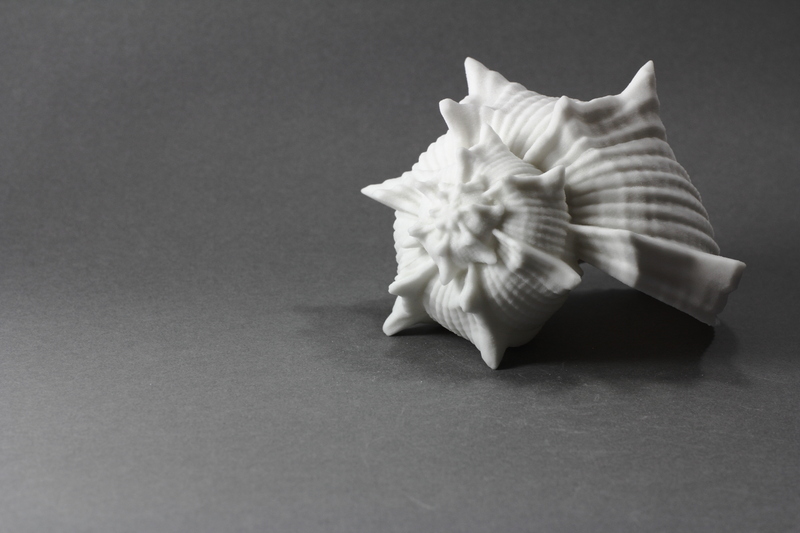 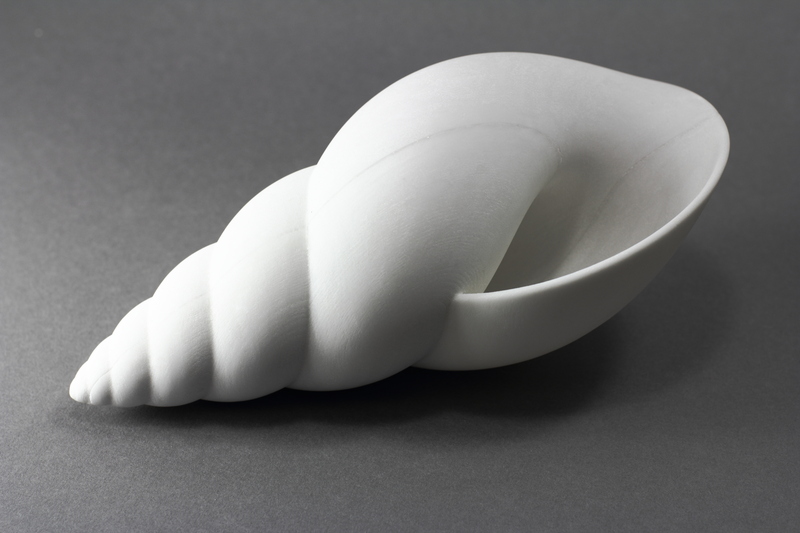 The 3D models are generated using custom software created by Gene Kogan using Processing and Hemesh library, and based on modeling techniques described Jorge Picado in his paper, Seashells: Plainness and Beauty of Their Mathematical Description. 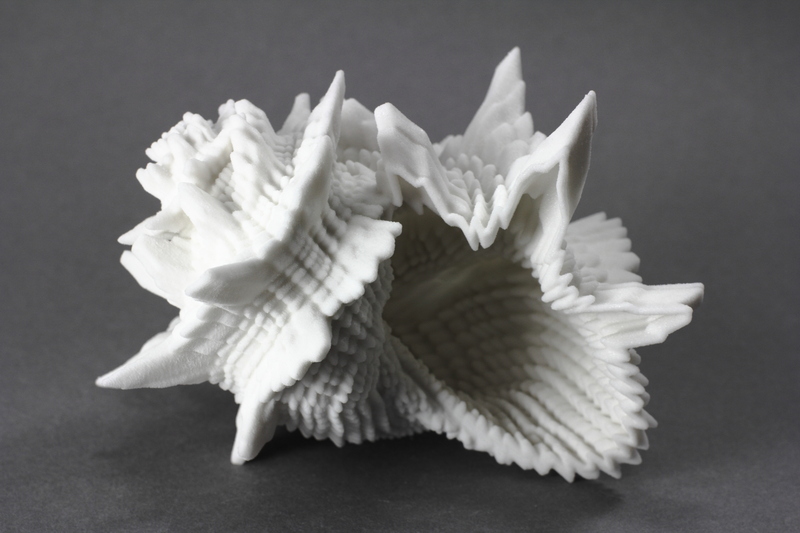 Additional mathematics were implemented by Phillip Stearns for more creative control over the surface textures, shell shape, and deformations. 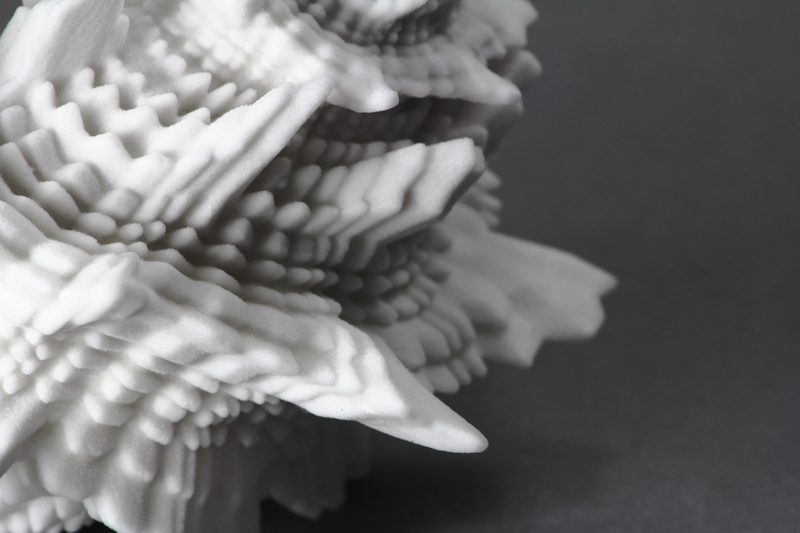 Fine tuning of the parameters within the program allows for the creation shells ranging in looks from very natural to completely unnatural and yet disturbingly believable. 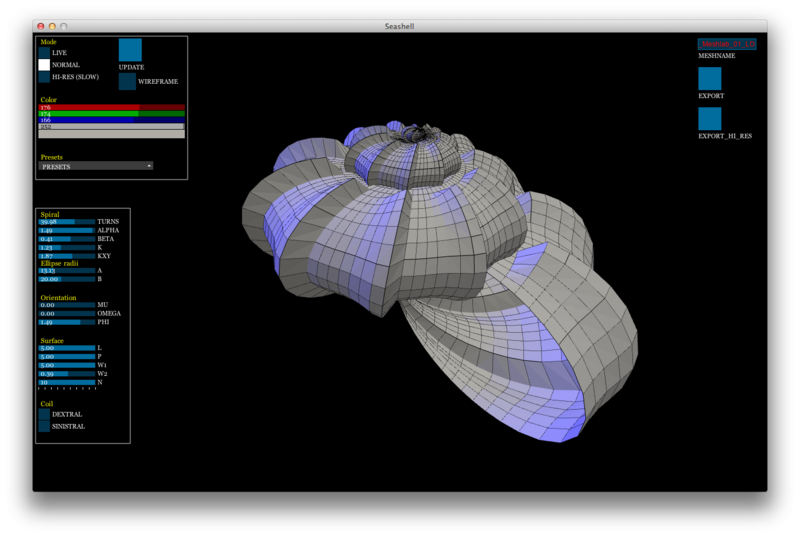 Shell meshes are exported to STL format and re-sampled using Meshlab to give thickness. 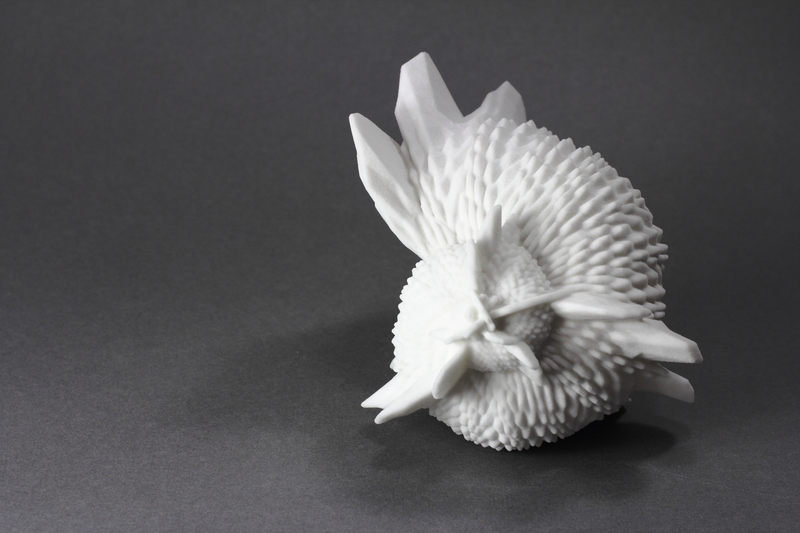 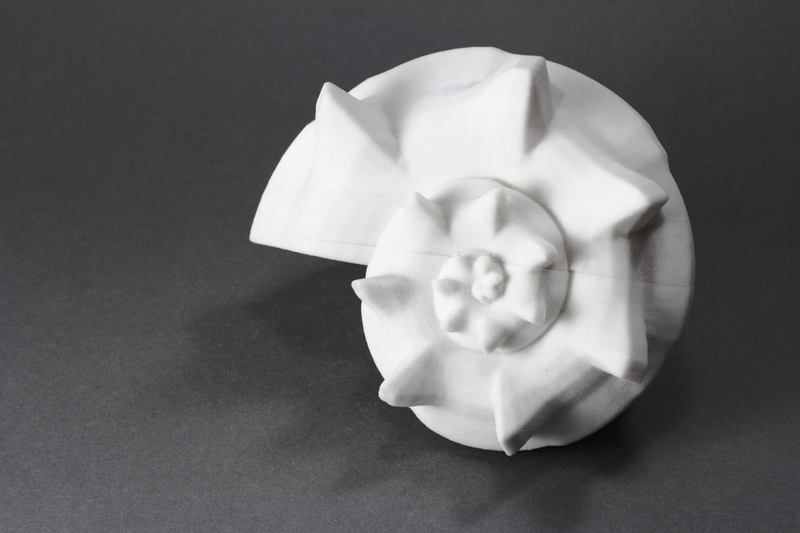 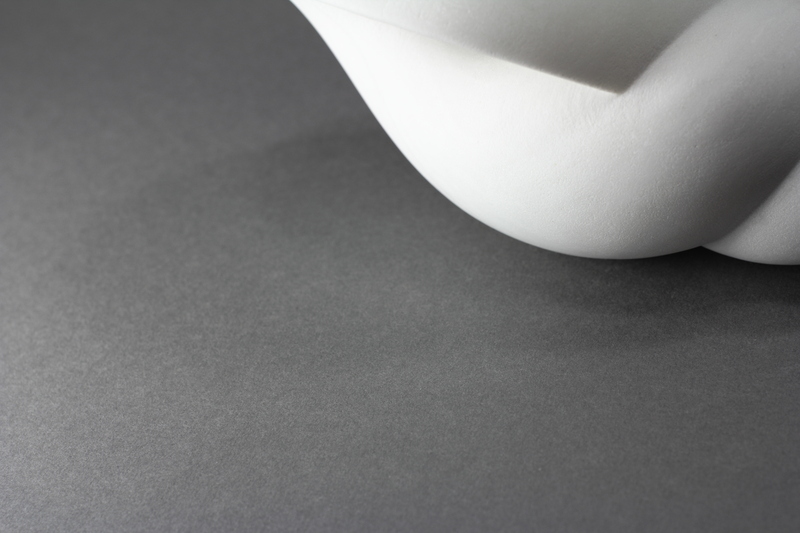 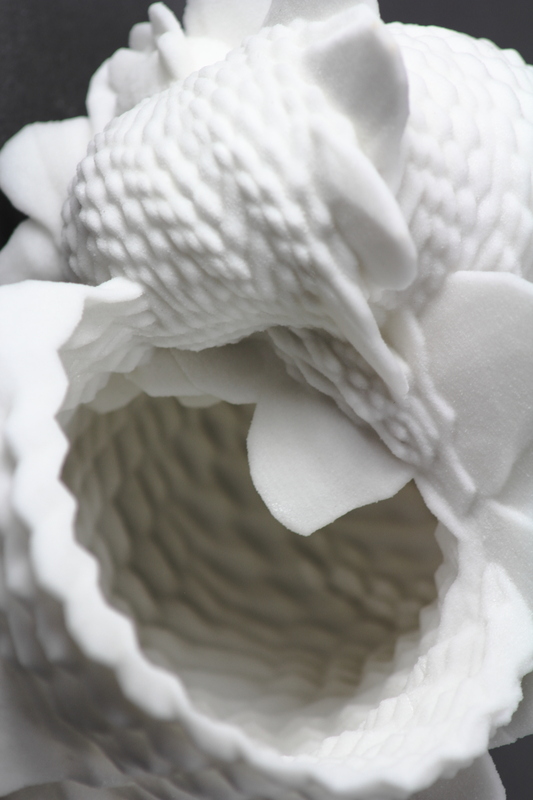 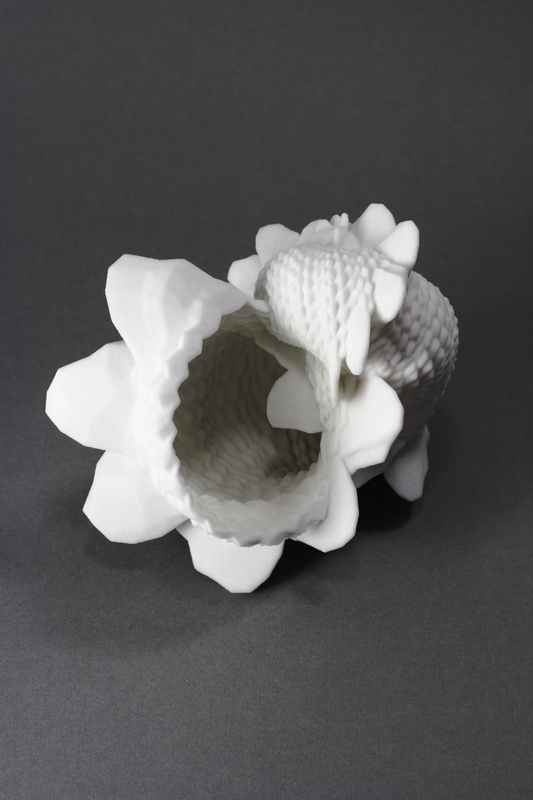 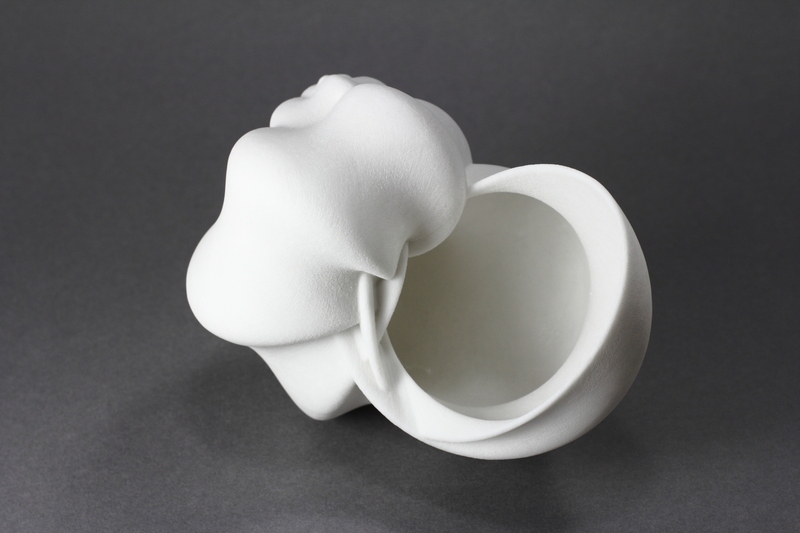 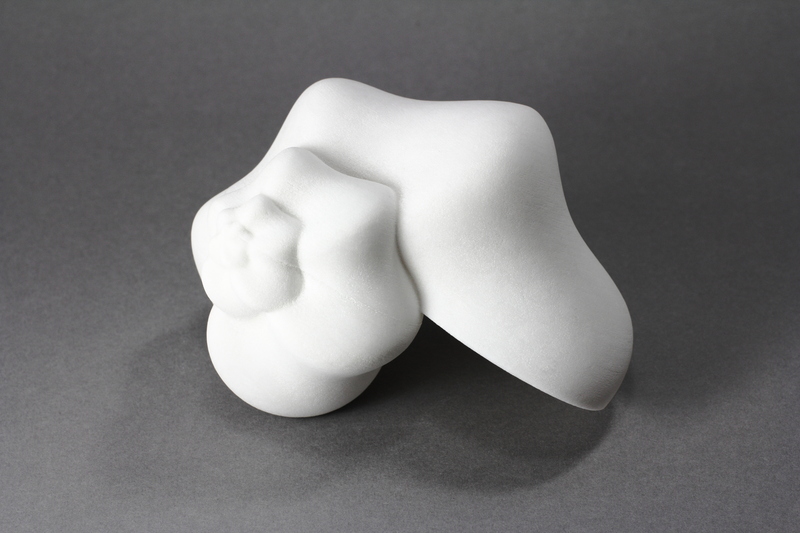 The 3D models were then printed by Dan Tesene using a process in which thin layers of ultra-fine gypsum powder are bound together by a binding agent excreted by a print head. 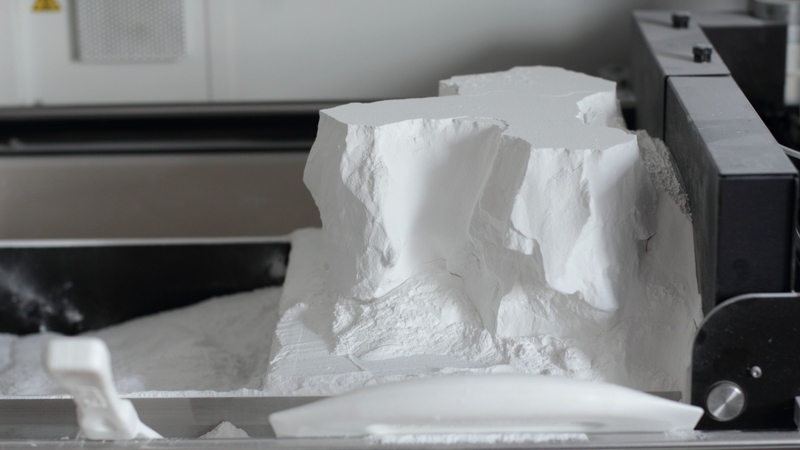 Once the shells are finished printing, they must be excavated from the powder. 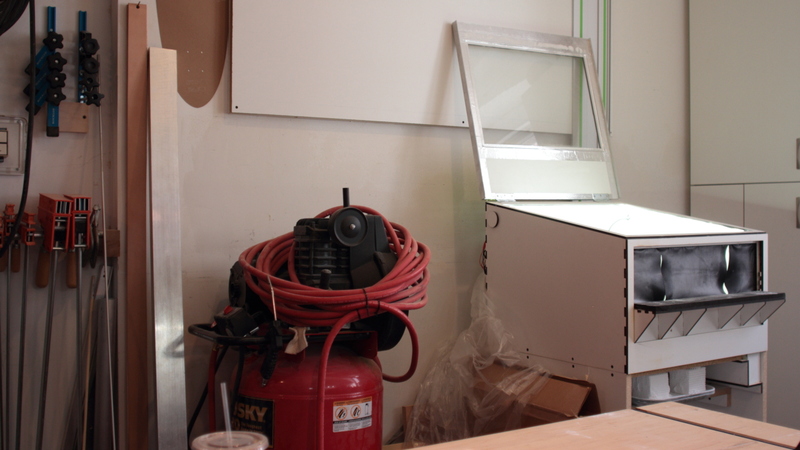 Compressed air is used to blow away loose gypsum dust to reveal the shells. 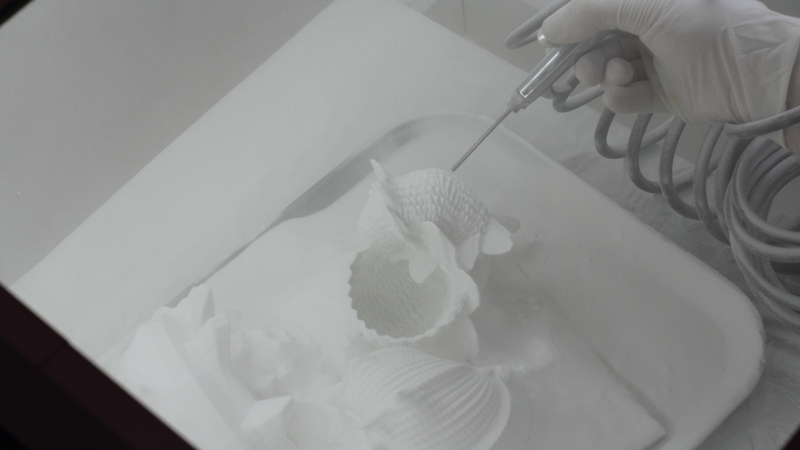 Due to the complexity of the cavities, the shells were printed in two halves so that the powder could be completely removed. 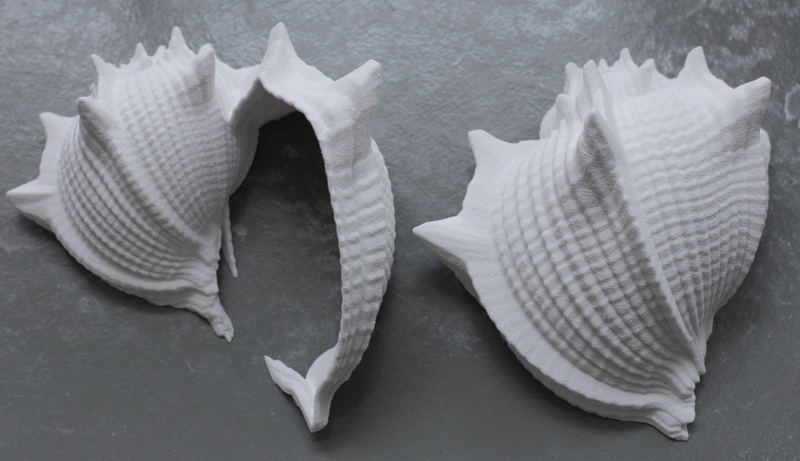 Once free and clean of the printing powder, the shells halves we bonded and cured using Zap CA, a cyanoacrylate similar to the chemical used in crazy glue.